If you’ve been searching for a pre-owned compact luxury SUV, you’ve probably already crossed paths with both the certified pre-owned Acura RDX (2016 model) and a pre-owned 2016 Audi Q5. But you might not have been able to determine which one would best meet your needs. Fear not, we’ve compared them for you across all key measures. 2.0L Turbocharged Four-Cylinder: Entry-level models are treated to an output of 220-hp, with mileage peaking at 20 mpg in the city and 27 mpg on the highway*. 3.0L V6: 3.0T trim levels receive a supercharged V6 good for 272-hp. Mileage ratings reach up to 18 mpg in the city and 26 mpg on the highway*. 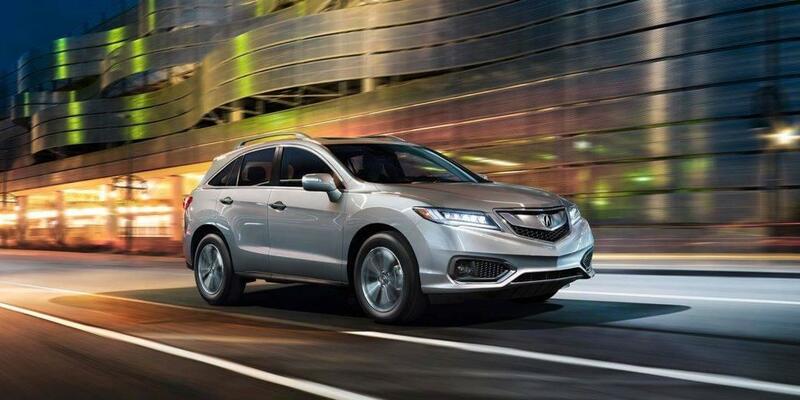 The Acura RDX provides just one engine, but it delivers more power and stronger efficiency scores than either Q5 option. The 3.5L V6 supplies up to 279-hp while allowing for up to 20 mpg in the city and 28 mpg on the highway*. Both the 2016 Acura RDX and the 2016 Audi Q5 should be able to take the whole family on longer drives without ever feeling cramped or confined, but only the RDX lives up to that ideal. Just compare their interior measurements. Front Legroom: Up to 42 inches in the 2016 Acura RDX vs just 41 in the 2017 Audi Q5. Rear Legroom: Up to 38.3 inches in the 2016 Acura RDX vs only 37.4 in the 2017 Audi Q5. And you don’t need to worry that the RDX’s superior passenger space means having to miss out on room for all your cargo; the Acura boasts up to 61.3 cubic feet of cargo room vs just 57.3 with the Q5. AcuraLink Satellite Communication: Perfect for security, the AcuraLink system can track your vehicle when its stolen and remotely lock or unlock the doors. You can even have a live concierge help you make restaurant reservations. Multi-Angle Rearview Camera: Use regular view for basic reversing, activate the 170° perspective of wide mode to spot vehicles approaching from the left or right, then use the handy top-down view to help out while lining up for a trailer or parallel parking. The 2016 Audi Q5 doesn’t even fit a basic rearview camera as standard, but all RDX models come with this top of the line amenity.